The New Year represents a time to reflect on new direct marketing strategies. If 2014 results were disappointing, or worse, a decline from the previous year, here are three soul-searching strategies to examine and consider for 2015, as shared in my column for Target Marketing Magazine. Long-term success is a result of creating a platform of raving fans, prospects and customers. Your platform is your revenue source. You must grow and cultivate it, whether you’re an established organization or a start-up. And you nurture your platform over time by positioning your organization as a trustable leader with authority in your market. If you haven’t already, reexamine your organization’s persona—how you’re perceived—in the market. You can build your organization’s persona in the marketplace with content marketing tools such as producing videos, writing blogs, and engaging both existing and prospective customers via social media. Even direct mail can include a content writing component with reports, research, and long-form content-rich letters. As direct marketers, we’ve had it ingrained in us for generations that every marketing effort we use must deliver a measurable response. Cultivating and investing in the development of a platform of prospective customers, before making a sale, is counter to the culture of direct marketing. 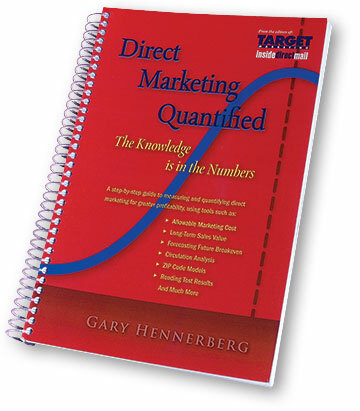 We expect every marketing effort to produce a measureable result. A challenge is accepting that content marketing, which normally doesn’t deliver a measured sales response, contributes to long-term success. As prospects comb the Internet, you must meet them where they are—whether it’s at their mailbox, filtering through email, reading a magazine, watching TV, or online while checking social media, viewing video, or multi-tasking all of the above. 2. How Do You Make Them Feel? When you meet your customers where they are physically, you must engage them emotionally using a methodical creative process that tracks what is happening in their mind. In step #1 above, you were charged with looking at your organization’s persona. Now, imagine the personas of your prospects and customers. The knowledge of who they are dictates how to stir emotions and calm the mind with your solution’s message. By establishing who you are with your position—your leadership and unique selling proposition—and using storytelling, you embed new memory grooves. When the time is right, you interpret your offer for the metaphorical “left brain” part of the mind. The tipping point comes when you intensify the desired emotional “right brain” feeling so they give themselves permission to respond. Make your customers feel good and connect with them at a level they will always remember. With the charge to cultivate your platform and intensify the emotional feeling in your creative processes, never lose sight of the need to strategically monetize. Your efforts to create fans and followers must have an end game plan that moves them to become paying customers. One challenge, for example, is measuring the value of content marketing in the total marketing mix to position leadership, establish authority, and build trust. It may mean that you look at the total effect of your numbers in a different way. Your budget may have to blend in the cost of marketing efforts you can’t track and average out a cost per order based on all activity. Perhaps you carve out a separate budget for content and other hard-to-track efforts. You might look at those costs as a branding expense or as part of overhead. Whatever makes sense in your organization, 2015 may be the time to view some types of marketing activities as contributing to your overall success without specific attribution to a sale. By my own admission, as a classically trained direct marketer this has been a tough concept for me to accept. If 2014 was a banner year for you, stay the course, but remain vigilant for trends and tools that may prove valuable. But if response was lackluster or declining, consider that the days of profitably casting out a pitch to buy a product that’s unknown, without trust, credibility or authority, have passed for more and more organizations. Your success includes the charge to build and cultivate a platform. The charge includes communicating a deeper, more cerebral approach that impacts memory and swells the emotional feelings inside your prospect’s and customer’s mind. And the charge for 2015 suggests that to calculate bottom-line profitability, you may have to rethink how you budget and monetize.